Due out this summer in Japan. DeNA and Spike Chunsoft have announced Seikimatsu Days: Our Era’s End, a “new generation roguelike RPG” for smartphones developed by the team behind Mystery Dungeon. It will launch for iOS and Android devices this summer in Japan as a free-to-play title with item-based micro-transactions. Seikimatsu Days is a dungeon exploration-style RPG where players control up to four characters in a Tokyo setting. The game uses randomly generated dungeons whose structures change each time you play, and roguelike game systems such as a turn system. 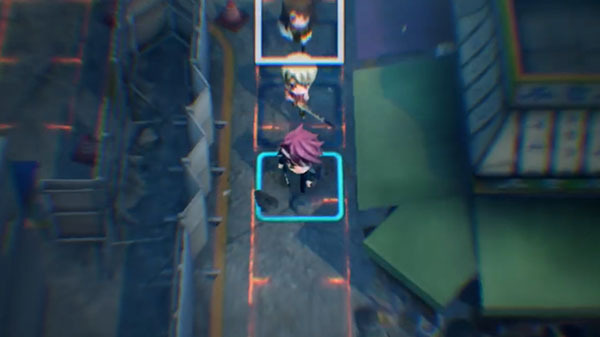 It will also have auto features that enables detailed settings suited to the player, such as auto save, number of controlled characters, action order of preference, movement speed, and more. DeNA will host a beta test limited to 5,000 users for Android users from April 19 at 15:00 JST to April 26 at 14:59 JST. The beta test application is available for download official website.